The Virtual Research Library was a knowledge page that contained documents, reports, videos and external websites from other organisations and individuals. While these documents and other information were and still are freely available in the public domain, we hoped that bringing these into one place helped for referencing past research and helping with future research in a free and open manner. 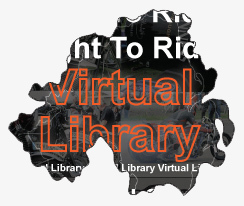 We replicated this Virtual Research Library over on Motorcycle Minds and have inputted new reseach – videos and information. Northern Ireland Motorcyclists Start To Use Bus Lanes – June 2004 – TRL – Motorcycles in Bus Lanes – Interim Report – November 2009 – Code of Conduct For Motorcyclists Using Bus Lanes – December 2008 – Make sure you ride in bus lanes with caution – and more. The Mystery of Motorcycle Friendly Crash Barriers – June 2011 – Basyc MPS – Motorcyclists Protection System Australia – New Zealand – FEMA – New Standards For Road Restraint Systems for Motorcyclists – 2012 – Road Design for Future Maintenance – and more. TRL study the “Review of Diesel Spillage Clean – Up Procedures” – 2010 – KillSpills fourth Annual report to the Prime Minister – Every time you overfill someone else pays for it – 2007 – TRL study the “Review of Diesel Spillage Clean – Up Procedures” – 2010 – and more. Right To Ride – Emissions – Cheaper Road Tax – ACEM – The Motorcycle Industry in Europe – Environment – November 2008 – FIM Alternative Energy Working Group (AEWG) – Fédération Internationale des Véhicules Anciens (FIVA) – and more. MAG Belgium – Dossier – FEMA – Saving (Car Drivers) Lives With Daytime Running Lights – November 2006 – MAG Response to European Commission Daytime Running Lights Consultation September 2006 – Dossier – and more. “Premark Anti-Skid” – The difference in slip resistance between the highway and service covers in the highway – FEMA – A Consultation Response October 2007 – TUFTAC is a ductile iron manhole cover and frame, which is inset with an industry unique – and more. Right To Ride – Comments to Carole Nash Theft Survey 2008 – MAG Foundation Presentation – 2004 – Steer Clear of Bike Crime – Home Office – July 2001 – Motorcycle Crime Reduction Group (MCRG) – Right To Ride – MAG Foundation Presentation – 2004 …….. Right To Ride – Motorcycle Safety in Northern Ireland – The Rider’s Perspective – 2009 – ACEM – Safe Ride to the Future – 2004 – HHRT – Motorcycle Safety: IMMA’s (International Motorcycle Manufacturers Association) contribution to the Decade – and more. 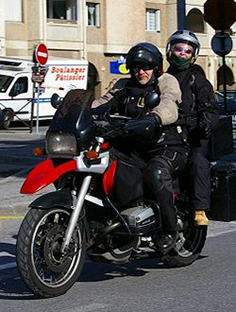 Workshop on Motorcycling Safety – Final Report – June 2008 pdf 514kb – Workshop on Motorcycling Safety – Annexes to the Final Report – June 2008 pdf 6.14mb – Top Priorities Identified by the Workshop – June 2008 – Workshop on Motorcycling Safety…. Hi Viz Survey – Here’s Looking At You – October 2014 – Northern Ireland Motorcycle Fatality Report 2012 – April 2012 – Right To Ride – Motorcycle Conspicuity In Europe – June 2011 – “Full Control” … everything you need to become a good rider – Hurt Report – and more. SMC – Extreme Behaviour On Two Wheels – 2014 – Right To Right – Risk and Motorcycles – November 2009 – INRETS – Risk Awarness Analysis – A Comparison Between Car Drivers And Motorcyclists – Summary of TRL Report TRL 607 – The Accident Risk – and more. Vision Zero Roads For Motorcycles – Norway – 2008 – Motorcycle Vision Zero – The Swedish Motorcyclists’ Association – IHIE – Motorcycle Guidelines – ACEM – Guidelines For PTW-Safer Road Design In Europe – Human Factors Guideline – and more. Weston-super-Mare Seafront Bike Park – Weston & North Somerset Motorcycle Action Group – Provision For On Road Motorcycle Parking – Vic Roads – April 2001 – Guidelines for Parking Motorcycles on Footpaths – Victorian Motorcycle Advisory Council (VMAC) – and more. SMC Survey of Motorcyclists and their views on Advanced Training – 2011 – Analysis of the On the Spot (OTS) Road Accident Database – February 2008 – Compendium of Motorcycling Statistics: 2008 Edition Great Britain pdf 380kb – Motorcycle KSI US Insurance – and more. DOE: Road Safety Strategy to 2020 – 2020 Vision: Driving Road Safety Forward – Victoria’s Road Safety and Transport Strategic Action Plan for Powered Two Wheelers 2009–2013 – United States (U.S.) – National Agenda for Motorcycle Safety – Strategic Plan – and more. Right To Ride – Response to DG Enterprise – Framework Regulation – ABS Brakes – Pros and Cons – By Steve Makohin – June 2006 – ACEM Report On Non Compliances Found In Sample Motorcycles Manufactured In The Chinese Peoples Republic – and more. Australia – The Perfect Ride – What Do We Have To Do To Get Noticed? – The Roads No Place To Race – Keep Motorbikes in Sight – Safety Campaign in Belgium – It’s Not What You Think – Look Twice – Expect the Unexpected – We Are Not Bugs (NMCU) – and more. Throttle Control – Back With A Vengeance – Right To Ride – June 2010 – Intelligent Transport Systems and Motorcycle Safety – Australia – July 2006 – FEMA Position Paper – Intelligent Transport Systems (ITS) – March 2011 – Intelligent Speed Adaptation – and more.